During World War II, on April 9, 1942, 75,000 United States soldiers and Filipino soldiers were surrendered to Japanese forces after months of battling in extreme-climate conditions. The U.S. soldiers were from the multiple branches of the U.S. military: Army, Army Air Corps, Navy, and Marines. Among those seized were members of the 200th Coast Artillery, New Mexico National Guard. Soon after the bombing of Pearl Harbor on December 7, 1941, Japanese forces began the invasion of the Philippines. The capture of the Philippines was crucial to the Japanese. It would bring them one step closer to the control of the Southwest Pacific. The Philippines were just as important to the U.S. Having troops in the Philippines gave the U.S. footing in the Southwest Pacific. After the invasion of the Philippines, U.S.-Filipino troops defended the crucial lands. These brave soldiers were responsible for the defense of the islands of Luzon, Corregidor, and the harbor-defense forts of the Philippines. They fought in a malaria-infested region, and survived on little portions of food. Some lived off of half or quarter rations. The soldiers lacked medical attention. U.S. medics did what they could to help their fellow soldiers. They fought with outdated equipment and virtually no air power. The soldiers retreated to the Philippine Peninsula when Japanese forces were reinforced and overwhelmed the U.S.-Filipino soldiers. On April 9, 1942, the U.S. and Filipino soldiers surrendered after seven months of battle combined with exposure to the extreme elements, disease, and lack of vital supplies. The tens of thousands of U.S. and Filipino soldiers were forced to become Prisoners of War (POW) the Japanese. The soldiers faced horrifying conditions and treatment as POWs. 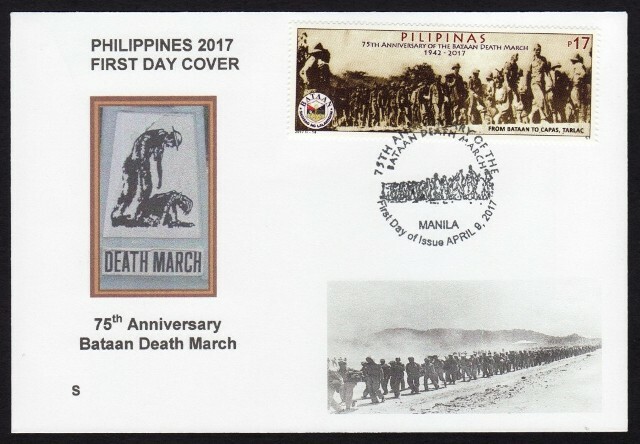 The soldiers were deprived of food, water, and medical attention, and were forced to march 65 miles to confinement camps throughout the Philippines. The captive soldiers were marched for days, approximately 65 miles through the scorching jungles of the Philippines. Thousands died. Those who survived faced the hardships of prisoner of war camps and the brutality of their Japanese captors. The POWs would not see freedom until 1945 when U.S.-Filipino forces recaptured the lost territory. In 1945, U.S.-Filipino forces recaptured the Philippines and freed the captive soldiers who were suffering in the confinement camps. These soldiers would be impacted by the poor conditions of the camps and the mistreatment by their Japanese captors. About one-third of the prisoners died from health complications after they were freed. Others were wounded or killed when unmarked enemy ships transporting prisoners of war to Japan were sunk by U.S. air and naval forces. 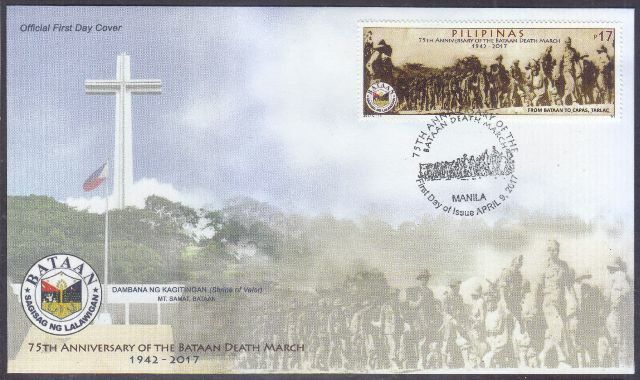 During the Bataan Death March, approximately 10,000 men died. Of these men, 1,000 were American and 9,000 were Filipino. This had a huge impact on New Mexico families. Of the 1,816 200th and 515th Coast Artillery men identified, 829 men were to never return home, losing their lives in battle, in prisons, or after liberation. World War II, the bloodiest war in history, claimed 60 million lives and ended on September 2, 1945. 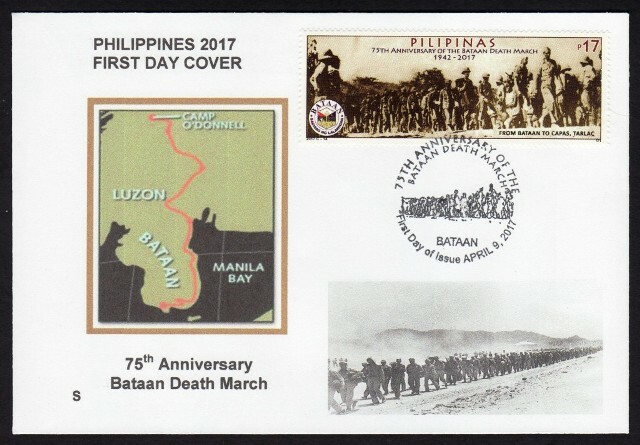 April 9, 2017 marks the 75th anniversary of the Bataan Death March.